I have a super cute card for you all today! I am obsessed with the new Subtle Impressions Embossing Folder. I have used it so much in the last week on my cards. I almost missed it in the new catalog!! 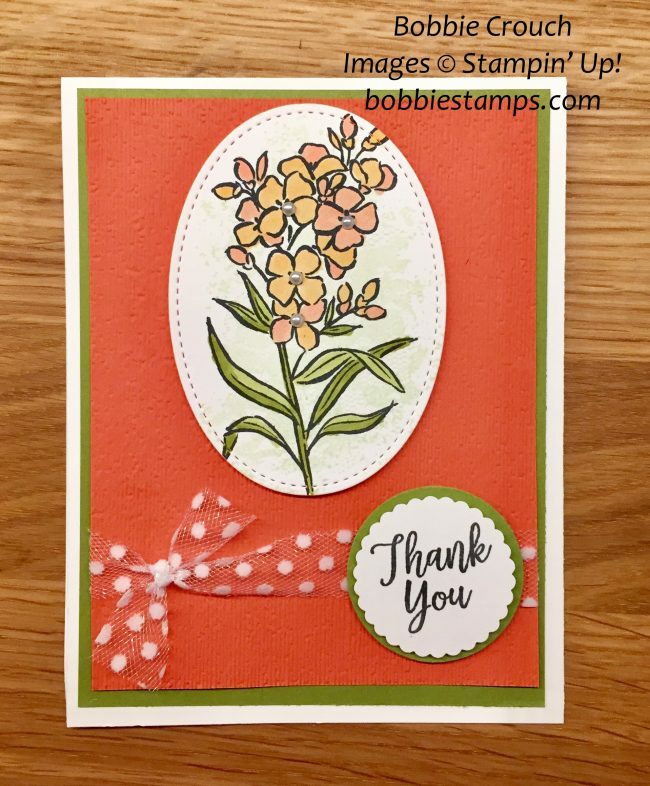 I also used our wonderful Stampin’ Blends to color in the beautiful flowers in the Southern Serenade stamp set. You can earn this free card packet by placing an online order of $25.00 before tax and S&H charges. Check out my page “Free Card Packets” to see the other two Free card packets I’m offering in July!